Jean qualified as Member of the National Institute of Medical Herbalists in 2001 and has been practicing ever since. She studied at the Scottish School of Herbal Medicine, where she also learned therapeutic massage and aromatherapy massage. Karen : Remedial & Sports Massage Therapy, Swedish Massage, integrated Myofacial Release and Hands Free massage, Cancer Care Massage and Reiki. 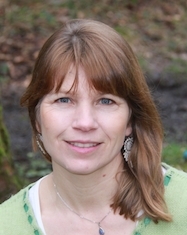 Karen qualified in Remedial & Sports Massage Therapy and Swedish Massage with the Western School of Massage, MFR with Myofascial Release UK, is registered with the Scottish Massage Therapist's Organisation and also trained with Gayle MacDonald and The Iris Cancer Partnership. Karen combines Hands Free massage and Integrated Myofascial Release Therapy techniques with her massage treatments where appropriate. Kerry McKay: Polarity Bodywork & Yoga Teacher. Kerry's passion is sharing the tools that she has found most effective: such as breathwork, bodywork, meditation, movement and awareness. 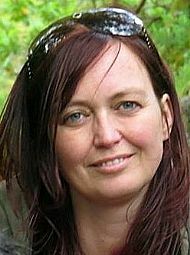 She completed her Polarity Therapy training in 2007 so has over 10 years of bodywork experience. From joint pain to menopausal symptoms to stress, clients with a range of issues have found comfort through Polarity. Although the treatment approach differs, the aim is always to allow the energy of the body to rebalance itself. Since completing her yoga teacher training in 2013, with Balance in Glasgow, Kerry has become a popular Helensburgh yoga teacher. She has woven yoga into her therapeutic approach and enjoys working one-to-one exploring effortless movement and release in the body. Erica has over 25 years’ experience using Cognitive Behavioural Therapy helping people to bring positive change to their lives. She has gone on to show herself to be an outstanding Clinical Hypnotherapist who can effectively help you overcome whatever is holding you back. 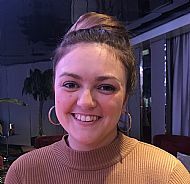 After gaining a Degree in Psychology and a Masters, Erica went on to work with several authorities throughout the UK creating, delivering and managing specialised intervention programmes for high-risk offenders. Highly trained and thoroughly respected in her field, an expert in assessment and intervention, she now brings those skills to the public arena. Jessica is registered with the General Hypnotherapy Standards Council (GHSC) and the Complimentary & Natural Healthcare Council (CNHC). Jessica is specialised in the field of analytical hypnotherapy, which enables people to identify the root cause of their problems and develop a deeper awareness of the self. In doing so clients can discover their inner resources, re-programme maladaptive learned behaviours and beliefs and make the changes in life they desire – for good. Jessica has a background in occupational therapy and has extensive clinical knowledge of a wide range of physical and mental health conditions, the holistic nature of health and well-being and enabling people to overcome barriers and live the life they want which greatly compliments her work as a hypnotherapist.